Former President of Ukraine Viktor Yanukovych is no longer listed as a wanted person by Interpol, according to Joseph Hage Aaronson LLP law firm. "The Interpol Red Notice (an international request made by Interpol seeking the location and arrest of wanted persons) concerning Yanukovych, which was published around 12 January 2015, has ceased to be in force. 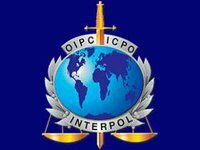 Furthermore, Interpol member countries have been blocked by Interpol from access to data concerning Yanukovych held by Interpol," the firm said on its website. It said that Interpol’s actions follows an application to Interpol by Joseph Hage Aaronson on behalf of Yanukovych seeking his removal from the Interpol wanted list, as according to the law firm, the criminal charges brought by the Ukrainian government against Yanukovych were "part of a pattern of political persecution of him."